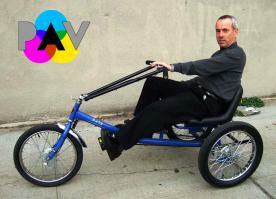 The Personal Activity Vehicle (PAV3 (tm) ) is an ergonomic marvel! 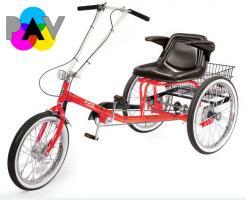 Designed to be the world's most comfortable trike, the PAV3 incorporates contemporary style with classic proven features. 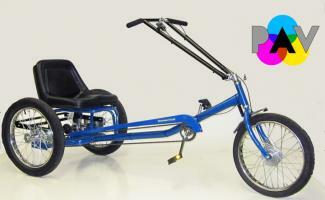 Its semi-recumbent design allows you to sit back, have fun, and get great exercise at the same time! A winning combination! With its fully adjustable, richly padded high-back seat and optional fold-down armrests, the PAV3 is like a couch on wheels. Riding is made easier as when you lean back into the seat you use your legs, back, and abdominal muscles together, relieving undue stress on your hips and knees. 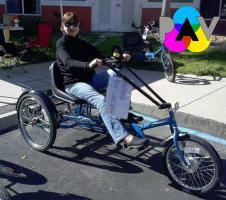 The PAV3 comes with a coaster brake, front drum brake, and rear basket. 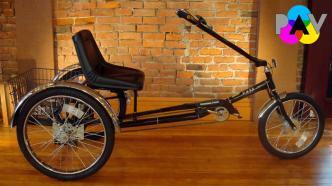 Add the optional three speed coaster brake, rear view mirrors, canopy top kit, and rear fenders and you're ready for anything! 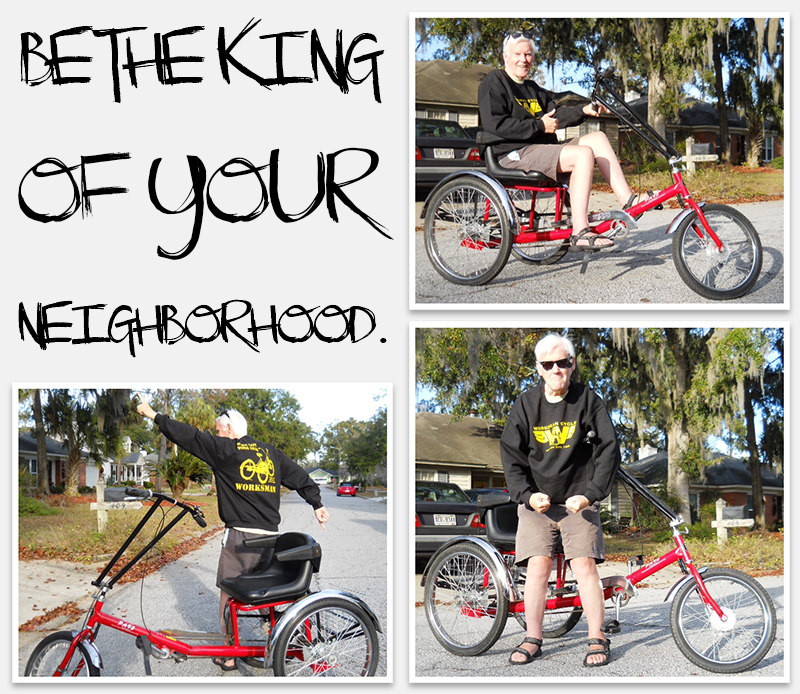 It is truly the ultimate in comfort, and with its adjustability and durability, it can handle people of all shapes and sizes. Due to it's durable design, the PAV3 is used by many of our industrial customers for use in large factories. SHOP OUR FULL LINEUP BELOW!